We have 4 styles of marquee available to hire, these are Capri , Pagoda, Clearspan and Stretch Tents. 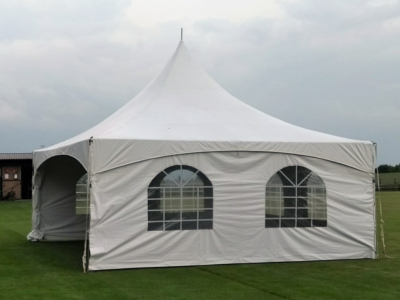 These marquees are available in a variety of sizes and there are several differences between the marquee systems as you will see in the images below. 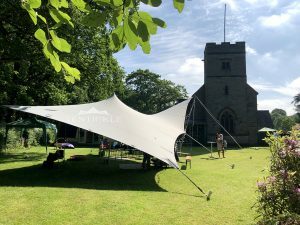 Popular for formal events such as weddings, balls and black tie events, Clearspan marquees can be fully lined and have no internal poles to allow for maximum space. Our budget range of marquees, the capris, are perfect for giving your event a festival vibe. These must be staked onto grass and have internal poles. Available in either 4mx4m or 6mx6m, our Pagodas, or Chinese Hat marquees as they’re often known are the smallest marquees we offer and can be put up on any surface. 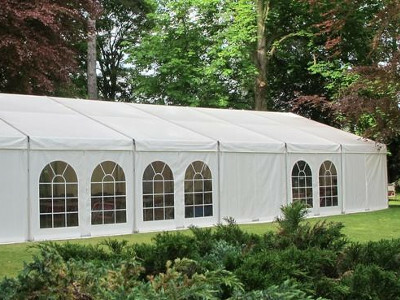 We have several sizes available in all our marquee systems and most of them can be joined together so we are happy to make recommendations on the most appropriate marquee for you based on your party size and requirements. 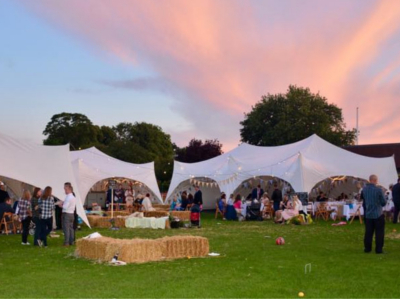 We specialise in marquee and equipment hire across Bedfordshire, Buckinghamshire, Cambridgeshire, Hertfordshire, Northamptonshire and Rutland.